"Go to account settings to update all your Spaces at once, or update a Space at a time by going to each space individually. 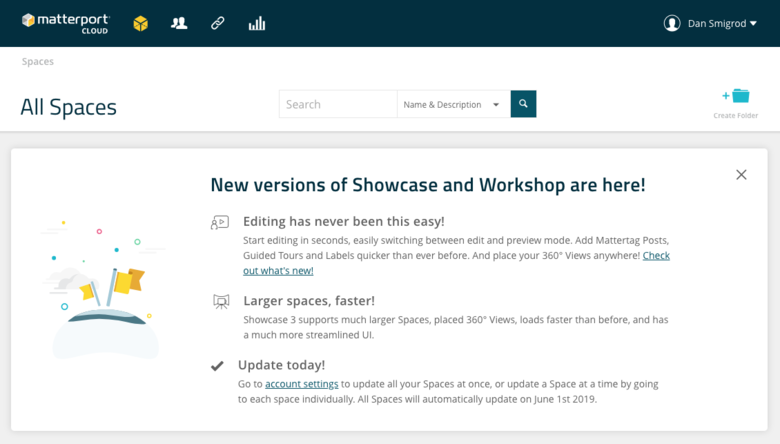 All Spaces will automatically update on June 1st 2019," says the splash screen in Matterport Workshop. I don't like the new Matterport Showcase at all. Too many bugs! I still use the old version to hide the photo I am watching and decide which photos I will leave. Cannot do it with the new version.